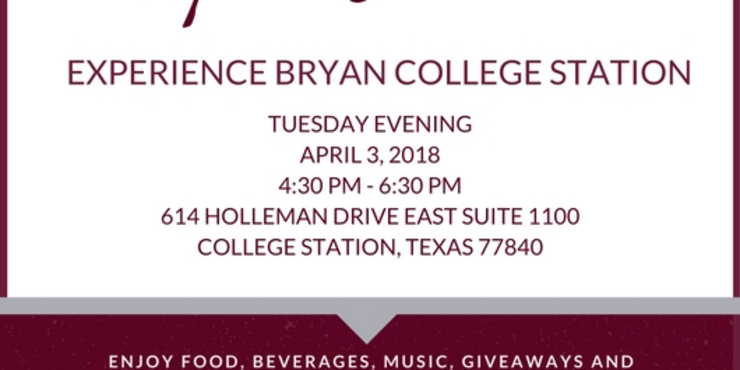 Experience Bryan College Station will be hosting an Open House on Tuesday, April 3, 2018 from 4:30-6:30 PM. Come check out our new office and while you’re here spend time with the Experience BCS and BCS Sports + Events team. There will be food, beverages, live music, giveaways and discounted shopping with our neighbor, Sabi Boutique! We look forward to seeing you on April 3rd.